The “Moon Maiden”, a Clair Obscur on the edge of the Sinus Iridum. The conditions were not ideal – wisps of cloud which were thickening, bit this shot was from 160 video frames using Registax. C90 plus ASI-120MC + 2x, with Sharpcap. Lunar day 11. The full frame of the image above. A somewhat over-processed view of Messier & Messier A on the Mare Fecunditatis. 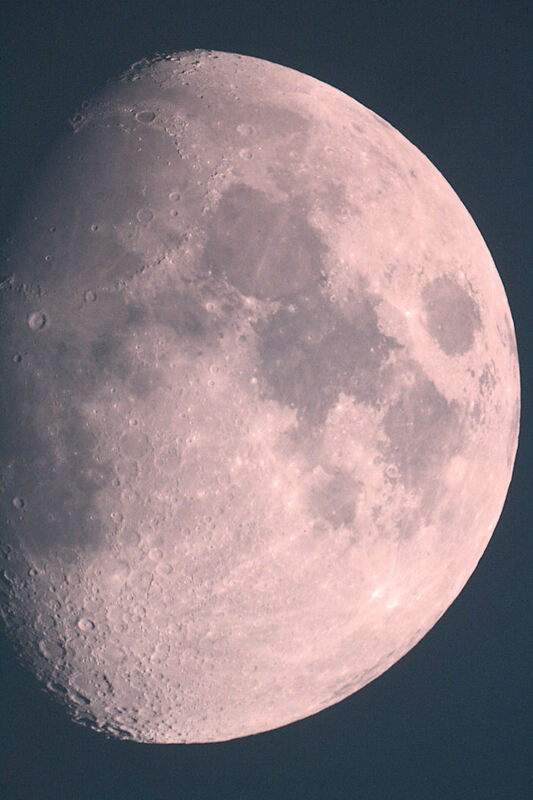 9 day old moon photographed with a Canon 1000D through a Skymax 150 pro telescope. Supermoon! 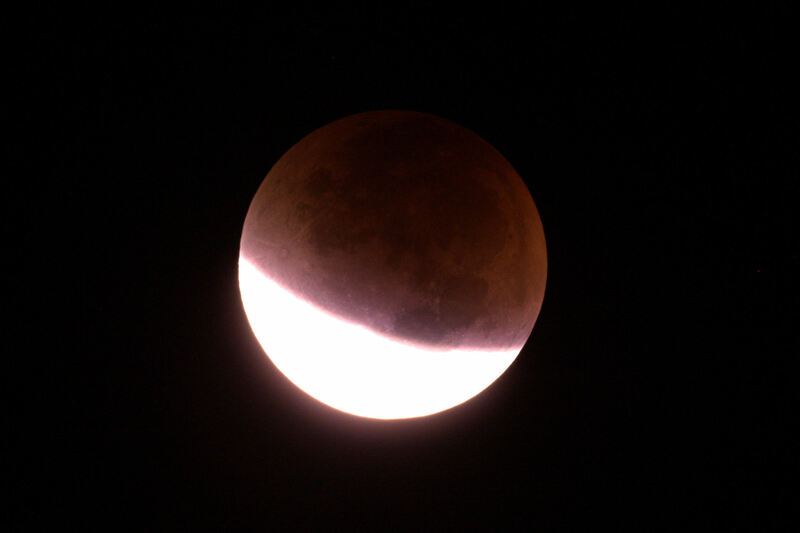 The eclipsed moon, taken from Winscombe at 3:52am on 28th September 2015. The image was taken at ISO 1600, with a 0.6s exposure. The winter constellations were rising in the east, the Pleiades were almost overhead. Fantastic. 3.13am. ISO800, 0.5s. 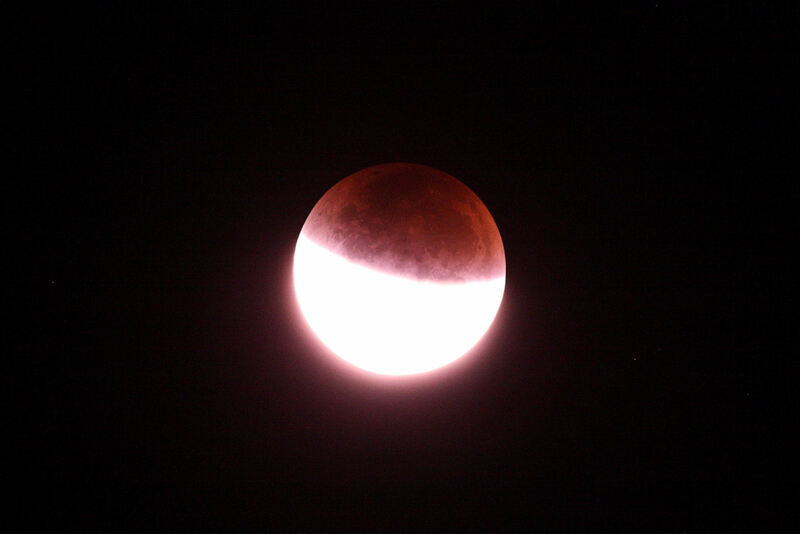 Approaching mid eclipse. 3am. The coffee is working. 2.49am. 1/6s at ISO 800. The shadow is moving quickly! May 15. 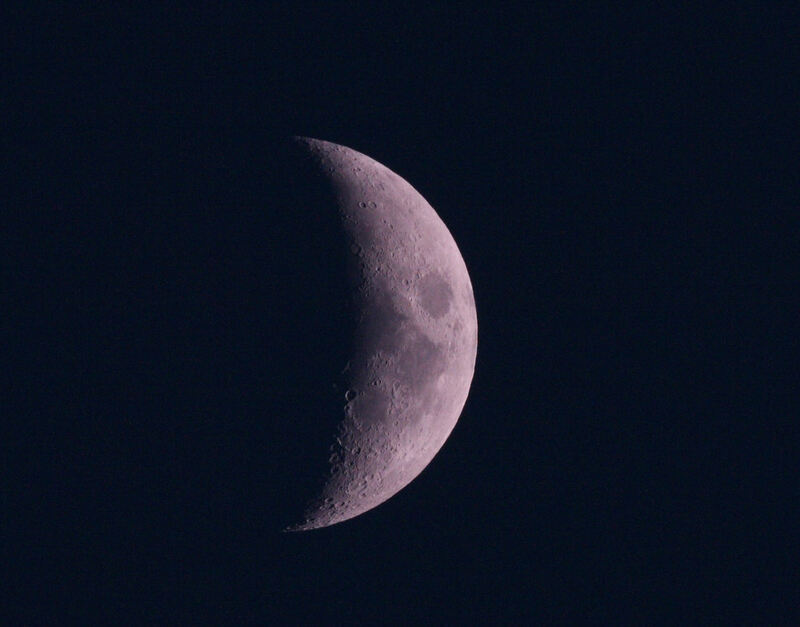 The Moon at prime focus of the GT81, 1/640s at ISO 800. No tweaks applied; fresh from the sky. 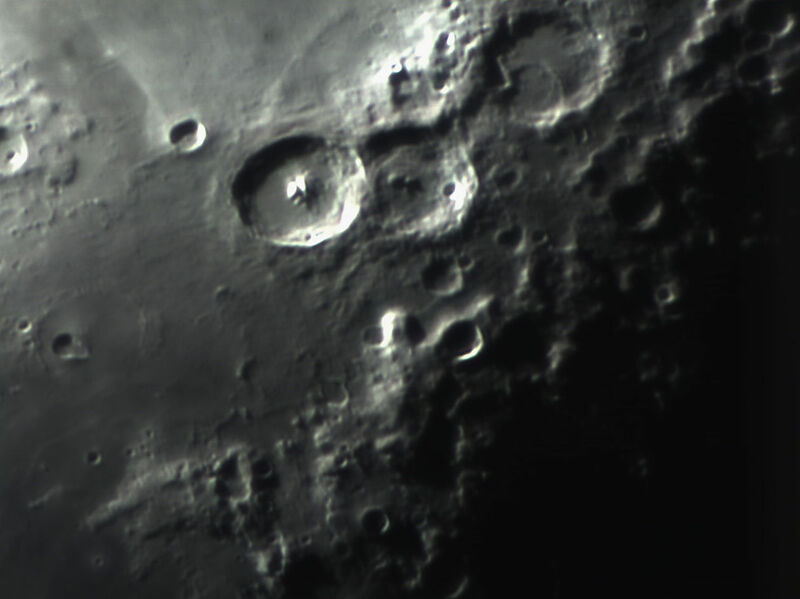 Crater Tycho in the southern highlands, using a stack of 100 webcam frames, each at 1/25s. ‘Well known for the ray system radiating from its 50 mile diameter rim, in the past it was designated as the “navel of the moon”…understandable given its position and appearance. Mare Humorum – the Sea of Moisture, located in the southwest..
Webcam shot of the NW Mare Imbrium including the Sinus Iridum. 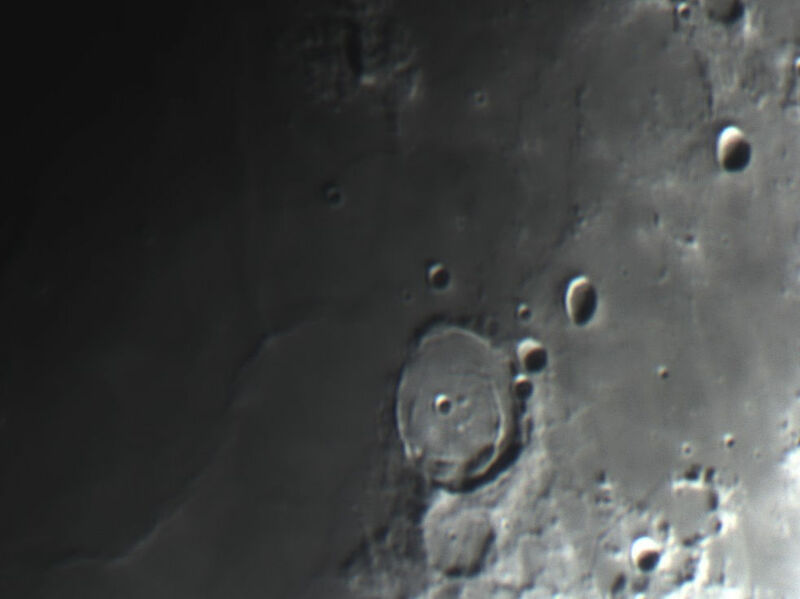 The dark crater is Plato. 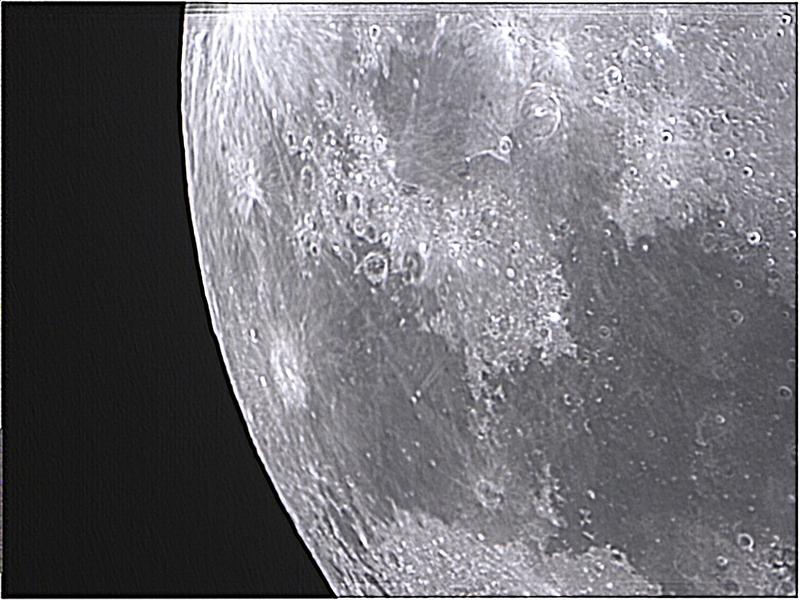 The shot used 100 frames at 1/25s, with the GT81 and a 3x Bresser barlow. 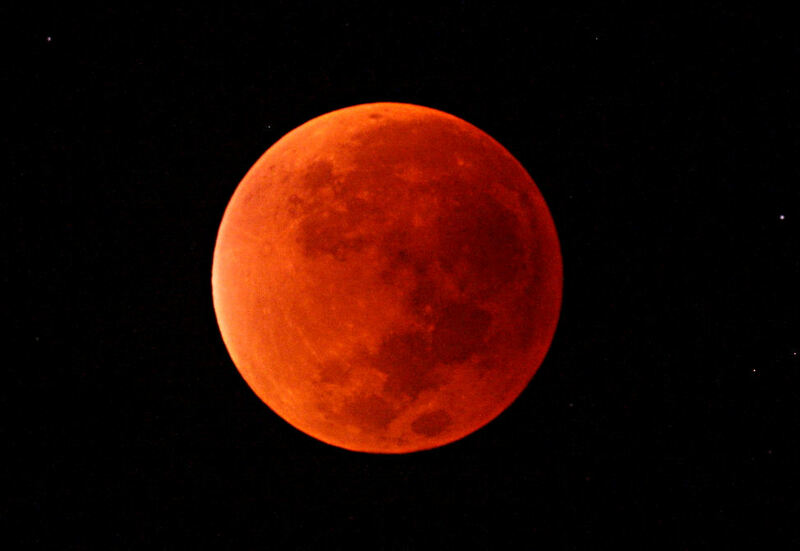 The frames were stacked in Registax and then an Unsharp Mask was applied in Paint Shop Pro. Finally for a bit of fun I stitched 2 images together using the freeware program Microsoft ICE. Archive Photo from 2010 – the target hasn’t changed much since. Moonshine at 1/320s. Jan 2015. A quick shot with my grab-and-go setup of William Optics GT81 on a Vixen Porta II mount. Back inside before my nose went red! 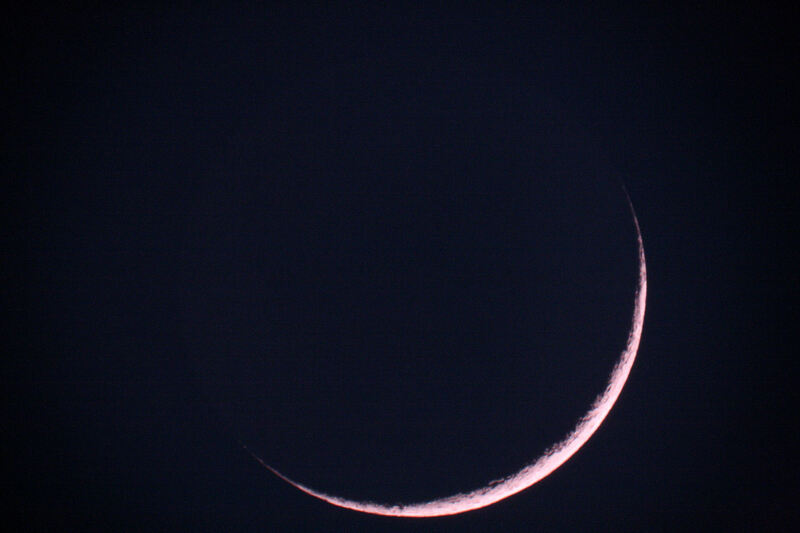 Earthshine. 1/2s this time to capture the dark side. Full Moon, with a bit of processing (high pass sharpen and contrast adjustment). 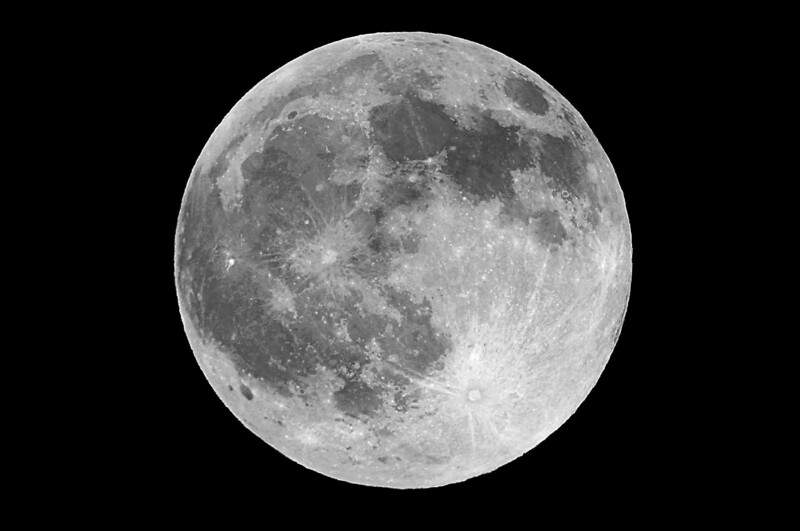 Full moon is the trickiest time to capture surface features, due to the lack of shadow. 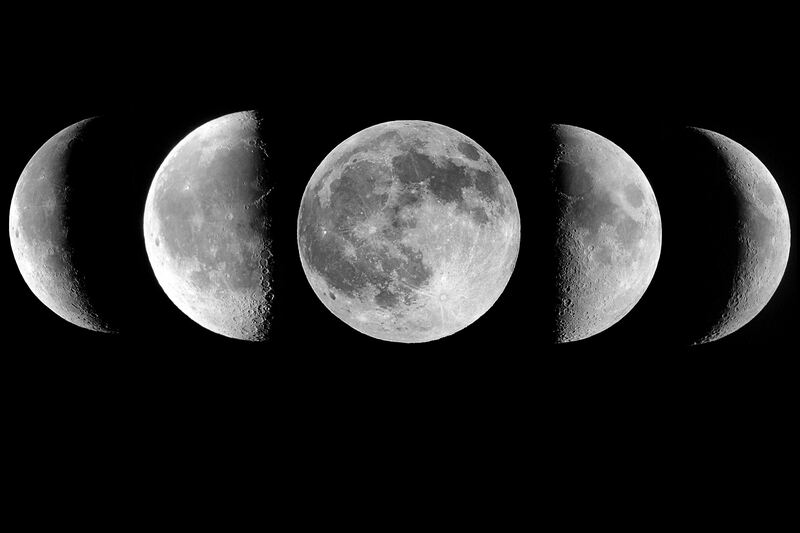 A mosaic of moon phases. Not much more to say.